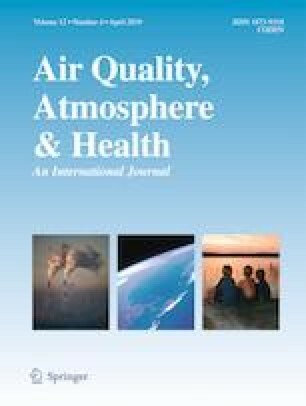 Aiming to advance in the understanding of pollutant dispersion near roads, we measured, simultaneously, vehicle traffic, meteorological parameters, and 24-h average concentration of particulate matter (TSP, PM10, and PM2.5) at several locations downwind two unpaved roads, located on a flat region without any other relevant source of pollutants. We also implemented on a commercial software of computational fluids dynamics (CFD) an air quality model to simulate the dispersion of particles and gas-phase pollutants emitted from roads. Numerical results of monthly and daily averages of total suspended particles (TSP) concentrations showed high correlation with experimental measurements (R2 > 0.94). We found, numerically and experimentally, that the plots of pollutant concentrations vs distance to the road edge converge into a single curve when they are expressed in terms of dimensionless numbers. Profiles of vertical concentration sketch an exponential function at the road edge, an S shape downwind and a flat shape far from the road. Particle size distribution fits a Rosin-Rammler function with average diameter of ~ 7 μm. This distribution remains unaltered downwind the road, which implies that at any location within 1.5 km from the road, PM10 and PM2.5 concentrations are a constant fraction of TSP concentration. Experimental data confirmed this observation. Previous results can be used to determine the size of the area impacted by roads, identify mitigating and adaptive countermeasures, and to improve the accuracy of vehicular emission factors.